It takes a lot to surprise me during these dark days of the Trump presidency but today somehow delivered two eye-poppers with one stone. On Monday, the Supreme Court struck down the congressional map of North Carolina, ruling that it unconstitutionally used race to determine districts. 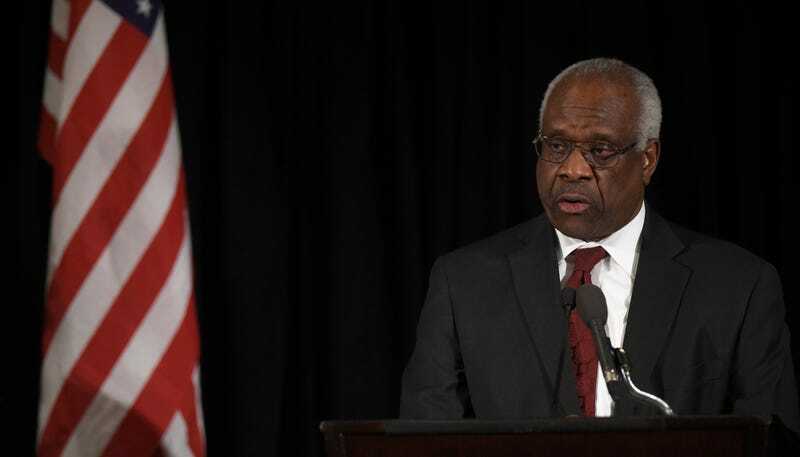 Perhaps even more surprising is that the 5-3 decision was determined by Justice Clarence Thomas, who sided with the court’s four liberal justices. The Republican majority in North Carolina’s legislature drew the contested congressional district map in 2011. It added more African Americans to two districts that already had significant black populations and had consistently elected the representatives—all Democrats—favored by most black voters since the 1990s. Voters in those districts sued, claiming the lawmakers had intentionally reduced African American voting power elsewhere in the state. States are generally not allowed to use race as the predominant factor in drawing district lines. While anything that isn’t actively disenfranchising marginalized people these days feels remarkable, just as shocking is Clarence Thomas’ role in all this. This decision by Justice Kagan is a major victory for voting rights plaintiffs, who have succeeded in turning the racial gerrymandering cause of action into an effective tool to go after partisan gerrymanders in Southern states. That Justice Kagan got Justice Thomas not only to vote this way but to sign onto the opinion (giving it precedential value) is a really big deal. Despite what is written in the text of the opinion, Justice Kagan, in a couple of footnotes (footnotes 1 and 7), attempts to solve the race or party problem by moving the Court much closer to the position of treating race and party as proxies for one another in the American South. As Democrats and people who aren’t racist applaud today’s decision, it’s important to remember that gerrymandering was perhaps the most unreported story and invisible tipping point of the 2016 election. North Carolina specifically has stood out as one of the best examples of the impact of voter suppression. Republicans won 10 of North Carolina’s 13 house seats while the state elected Democrat Rory Cooper as governor. Donald Trump narrowly won the state and its 15 electoral votes. Today’s ruling will likely set the stage to stand as a precedent against voter suppression in future rulings, though I’m not holding my breath on Justice Thomas maintaining his conscience.